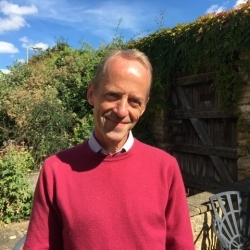 Kit Nicholson has 35 years’ experience in development covering economics, agriculture and climate change. In recent years, Kit has worked primarily on the integration of climate change into national planning and budgeting and has played a leading role in defining the emerging methodologies for Climate Change Public Expenditure and Institutional Reviews and Climate Change Financing Frameworks, working in Indonesia, Cambodia, Thailand, Samoa and India. Prior to that, Kit worked on national planning and policy, public finance and aid coordination. He has also worked on the design and appraisal of projects, especially in agriculture and rural development. Kit is an experienced team leader, and has led numerous assignments, working in more than 30 countries. He has worked on a range of evaluations, including major multi-country programmes in Europe and country and programme evaluations.